Utah Opera provides a variety of opportunities and events to help adults in our community learn more about opera. Join Dr. Carol Anderson for a half-hour preview of the opera right before you attend the performance. Begins one hour before curtain at each performance in the Capitol Room. 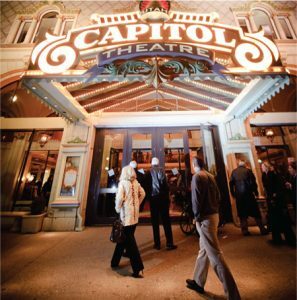 Join Utah Opera’s Artistic Director to discuss Utah Opera’s production of the opera following each performance in the Capitol Room. Visit the “Explore” section of our website for information about artists, composers, compositions, and music. We also create an online learning course for each opera production. Learn more about music and interact with other music lovers at our community events.